Custom Offset 12' x 14' x 26'10" swimming pool with sun bench and water feature. Banas stone bullnose, patio and steps. 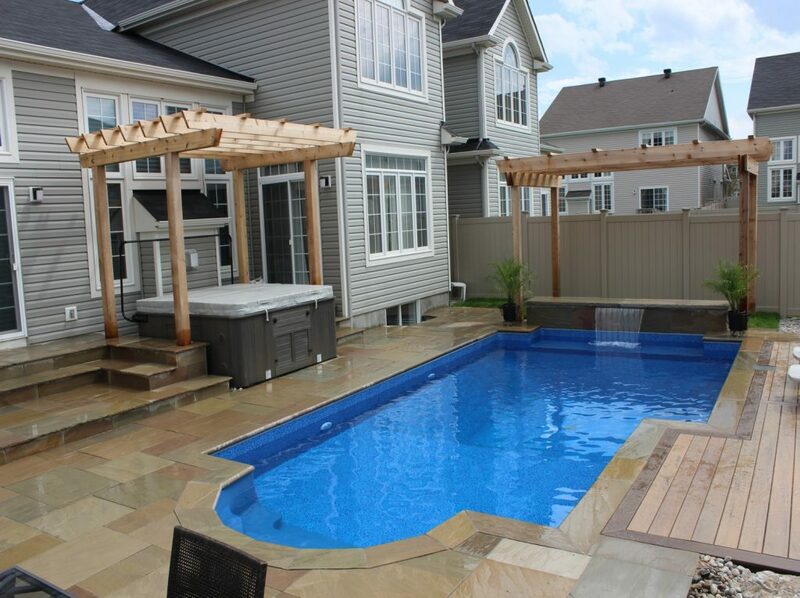 Custom offset swimming pool 12′ x 14′ x 26’10” with sun bench and water feature. Banas stone bullnose, patio and steps.